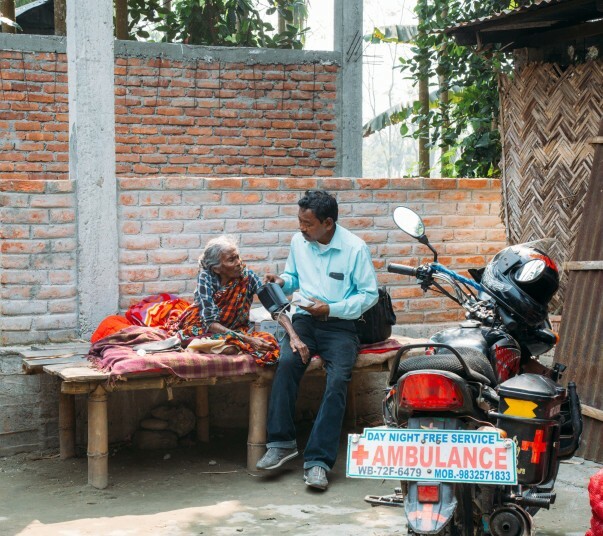 Karimul Hak lost his mother thirty years back because he could not afford an ambulance and no one helped him while taking her to the hospital. 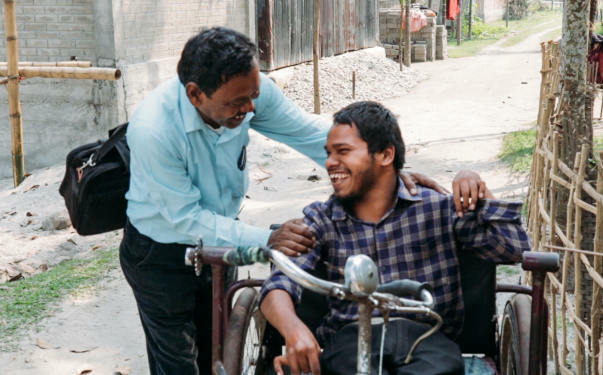 A few years down the lane, when his co-worker Azizul fell sick, Karimul was determined to make sure that history did not repeat itself. So, Karimul tied the man struggling for his life to his back and rode 50 km to the nearest hospital and saved his life. It was then that he decided his mission in life - to make sure that no one had to die due to lack of ambulance service. She (his mother) died at home. I tried my best but could not get an ambulance for her. 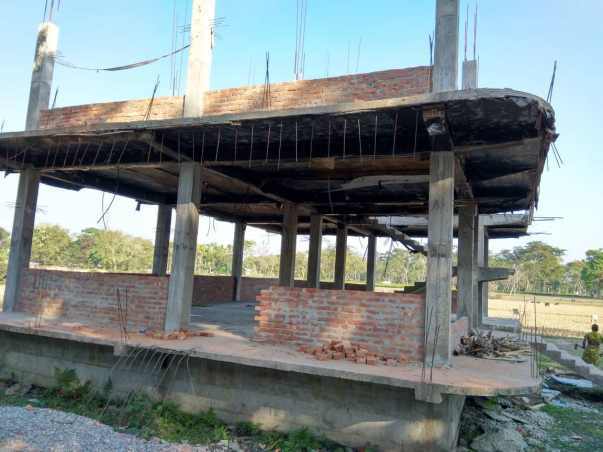 After her death, I thought about the problem that thousands of people in the remote areas of Malbazar, particularly in forest villages and tea estates, face. I realised many people, particularly the poor, often die for lack of proper treatment. 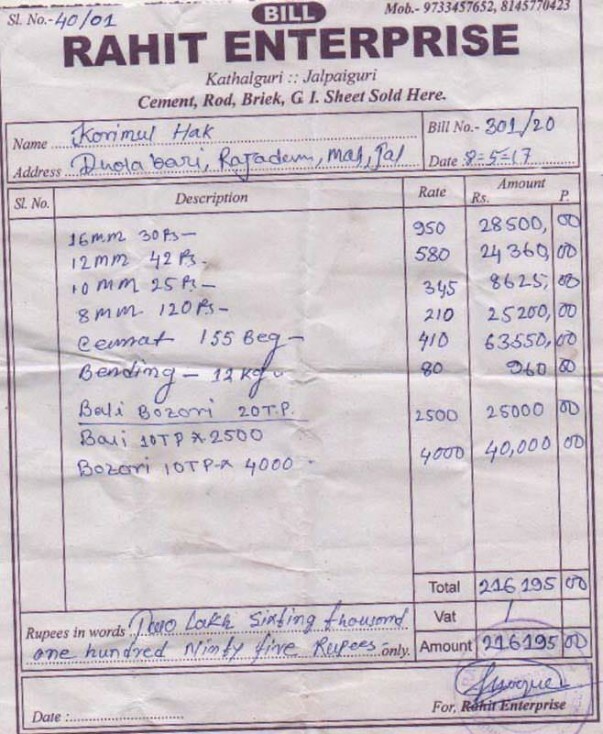 In 1998, Karimul bought a bike with all his life savings. 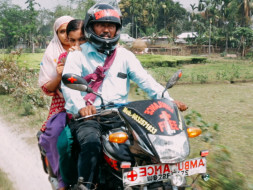 Past 50 now, he uses the bike as an ambulance to take people in critical condition to hospital. So far, he has saved more than 5,000 people across 20 villages of West Bengal. 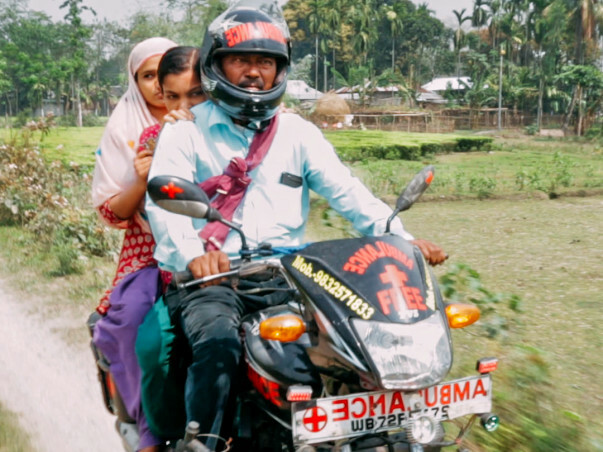 Fondly called the 'bike ambulance dada', Karimul spends half of his meager salary of Rs 4,000 in helping with his mission. Apart from the bike ambulance service, he has also trained himself on providing first aid to people in need and conducts regular health camps in tribal areas. For his services to the society, Karimul Hak was awarded Padma Shri last year. But Karimul feels he cannot be doing this deed for the rest of his life as he his getting old. 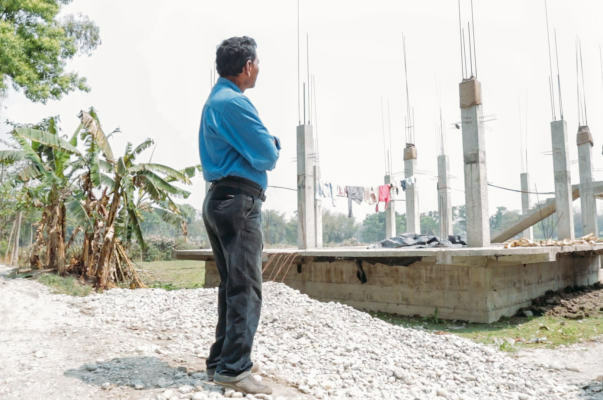 His real contentment lies in fulfilling his dream of building a free hospital near his home for his village. This will ensure that more poor people for whom healthcare is a luxury will be saved. “I want to build a care centre outside my house so that people don’t have to travel far. I want to keep doing this work and then, when I die, my two sons will carry my mission forward,” he says. 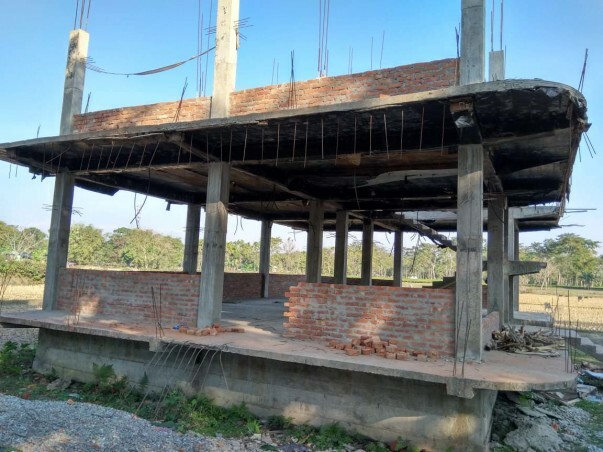 Support Ambulance to build his free hospital and save more lives ! No words are enough for me to thank you all for everything you have done. 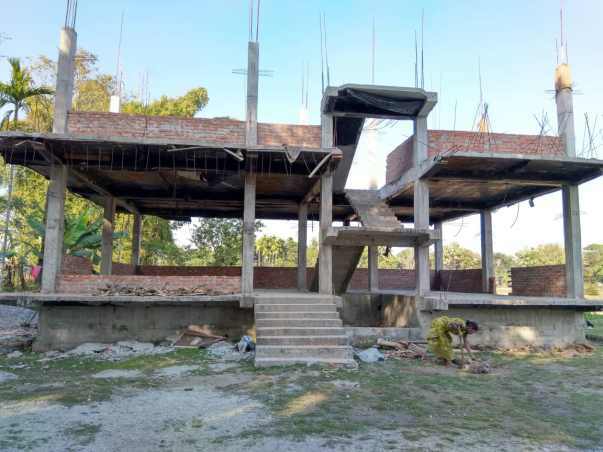 I am glad to inform you that the construction has undergone a huge progress. The construction of walls has begun. Also the flooring has been placed an roof has been constructed. 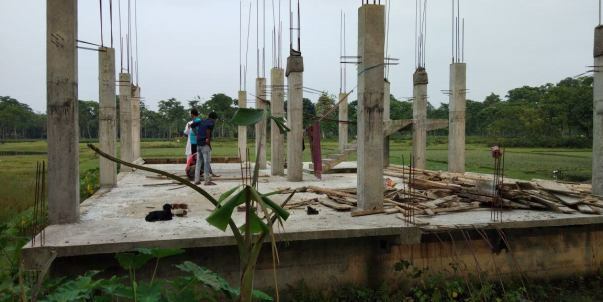 We are very excited as the work is progressing at a good pace. Kindly keep supporting our cause and share the campaign. Thank you all will keep you posted! We are thrilled to inform you all that the construction of the hospital has already started and is going well. The construction of the roof is currently in progress. We've been able to successfully complete doing the pillars and the ground floor. 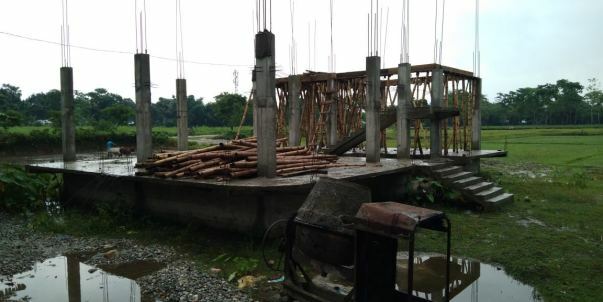 It is likely to take another 2-3 months to finish this pat of the construction. Also, we have been able to build homes for the needy and have been helping children with education. 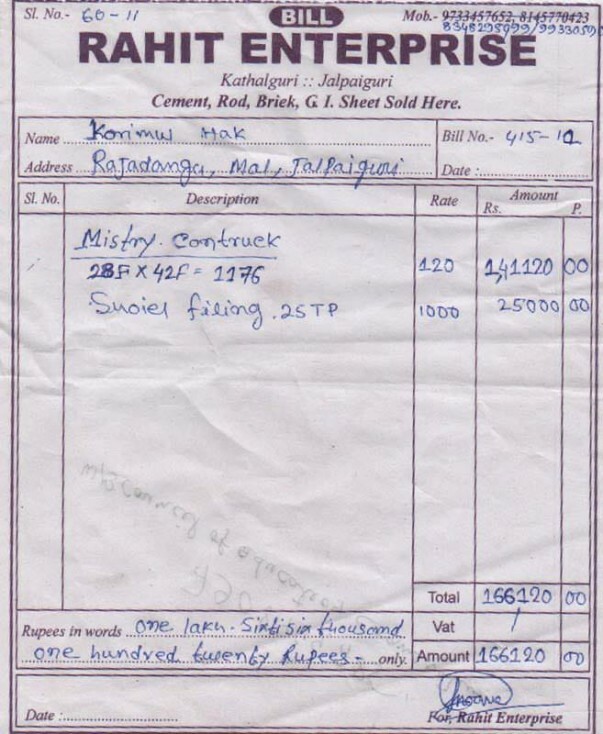 We are also actively donating clothes in villages. 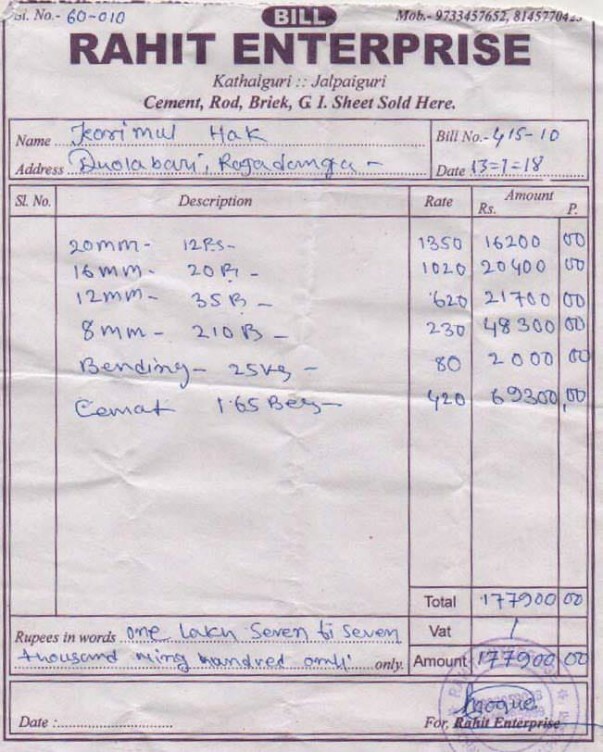 The funds raised in this campaign are being withdrawn against invoices. We are all hopeful about this being a successful project. Please keep supporting us. We couldn't have come this far if you hadn't being by our side. We shall keep you posted on all the further developments. Thank you once again!